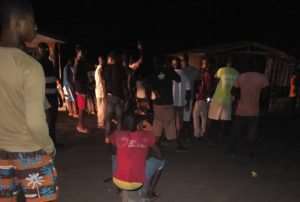 Residents of Nuaso in the Lower Manya Krobo Municipality of the Eastern Region on Wednesday evening blocked roads to register their displeasure to what they described as unfair treatment by the Power Distribution Services Ghana (PDS). 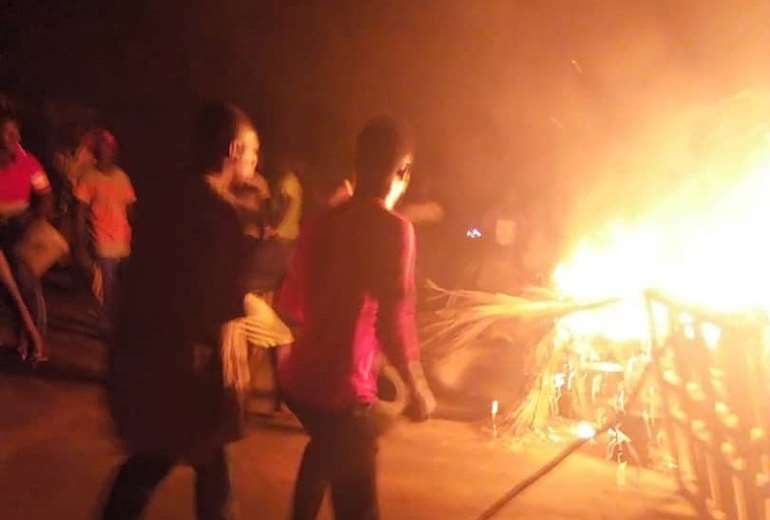 The residents numbering 60, wielding metals, planks and other offensive weapons blocked the main town road and set fire into tyres and other materials in the middle of the road. They in the process caused several hours of vehicular and human traffic to commuters from Kpong and Somanya. One of the protestors who spoke to journalists called on PDS to provide them with a load shedding schedule. “Sometimes we have to go to school, others also have to work and it really affects us. We live in a country that you have to demonstrate to get the attention of leaders to do what is expected of them. We are demonstrating tonight in our own interest whether it is good or bad”. He added, “we will all be better off if they give us some notifications that this week maybe we will be shedding load so this area will be cut off. That will be good but we can’t just be at home and our lights will be going off every evening because we already have this problem with the previous distributors ECG which has not been resolved. I think is not reasonable”. The angry protestors also revealed how they have planned to visit the offices of PDS in the municipality to demand answers to the recent power outages. “Last week we sent a letter to PDS office and warned them to stop the intermittent power cuts but they seem to have turned deaf ears to our plea so we have decided to besieged their office as early by 5 am before they get to the office we will be there waiting for them”.